In his new memoir, Keeping At It: The Quest for Sound Money and Good Government, Paul Volcker writes that there were many critics of his attempt to battle price inflation by correctly slowing money supply growth, including critics in the Reagan administration. EPJ friend David Stockman who was the Director of the Office of Management and Budget (1981–1985) under President Ronald Reagan comes out as something of a hero at the time. Almost from the start, the press reported grumblings about the Fed from White House staff. 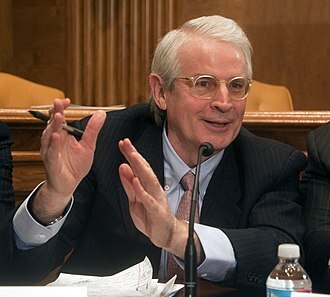 But my occasional meetings with the president remained cordial, David Stockman, Reagan's outspoken budget director, shared his anti-inflation instincts and regularly urged me to stick with it.